I was always a bit shy when it came to buying John Green`s books. He`s such a popular author amongst teenagers, wouldn`t I look silly at 26, reading his books? And then it occurred to me: at this age, do I still care about what people think of me? If I enjoy YA books then I should be allowed to do that without anyone judging me. I know I`m a bit late to the party and that everyone has read the book or seen the movie, but as they say, better late than sorry. Hazel Grace Lancaster is a 16-year-old girl diagnosed with terminal cancer and despite that, tries to live a normal life. She reads, goes to college, watches TV with her parents and every now and then goes to the mall. Worried that she might be depressed, her mum sends her to support group, where one day she meets Augustus Waters, a charming and witty boy. While there`s attraction from the start, they first become friends. Slowly Hazel starts to let her guard down and she even shares with Augustus her favourite book, An Imperial Affliction, about a girl that suffers from cancer as well. The book is left with an open ending and after sending a couple of emails they go to Amsterdam to meet Peter Van Houten, the author. There Hazel learns some terrible news, that will change her life forever. I won`t go into any details, but it`s a very sad ending. Relationships play an important part in this book and I loved every one of them! I loved the tragic love story between Hazel and Augustus, their friendship with Isaac or the loving relationship with their parents. 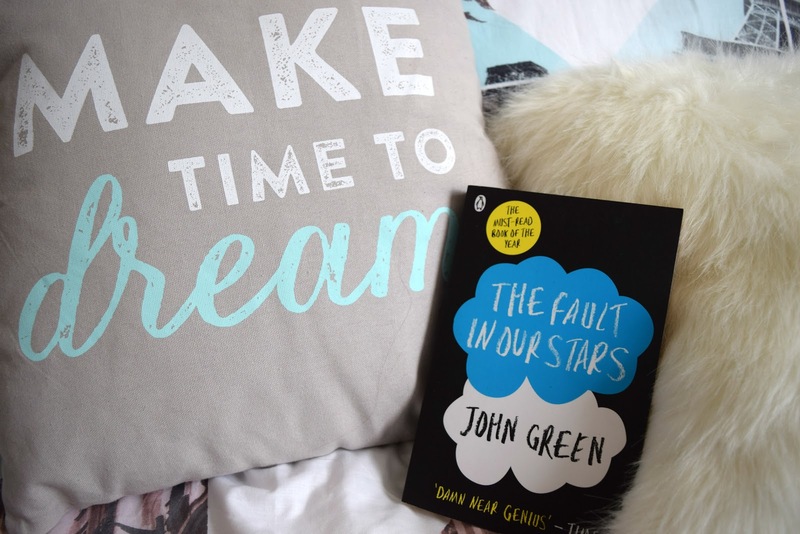 I loved Hazel`s snarky remarks and Augustus` stupid metaphors. They are fictional characters, yet you feel extremely close to them. I went through every emotion they were going and it`s been a rollercoaster, filled with laughter and tears. I know some people found them too pretentious and unrealistic, but to me, they seem real. Yes, some teenagers like to read and use pompous words, not everyone in America is 16 and Pregnant. And when I`ll be in my 40s I want my kids to be just like that! Not only did this book make me feel, but it also made me think. I know it will sound like a cliche, but at one point, just like Augustus, we all wanted a more meaningful life. But sometimes the biggest impact we have is on someone`s else life and that`s okay. OKAY? I`m extremely curious to see if you read this book and loved it just as much as I did, or you found it way too hyped. Let me know in the comments below. I always see the movie first then read the book ha might give this one a read, saw the movie and quite liked it. You should read it, in the movie they skipped some cools parts.